(17/P36) TRENTON – The Department of Environmental Protection’s artificial reef program has secured a U.S. Army Corps of Engineers permit to proceed with construction of two new reefs for recreational fishing, Commissioner Bob Martin announced today. 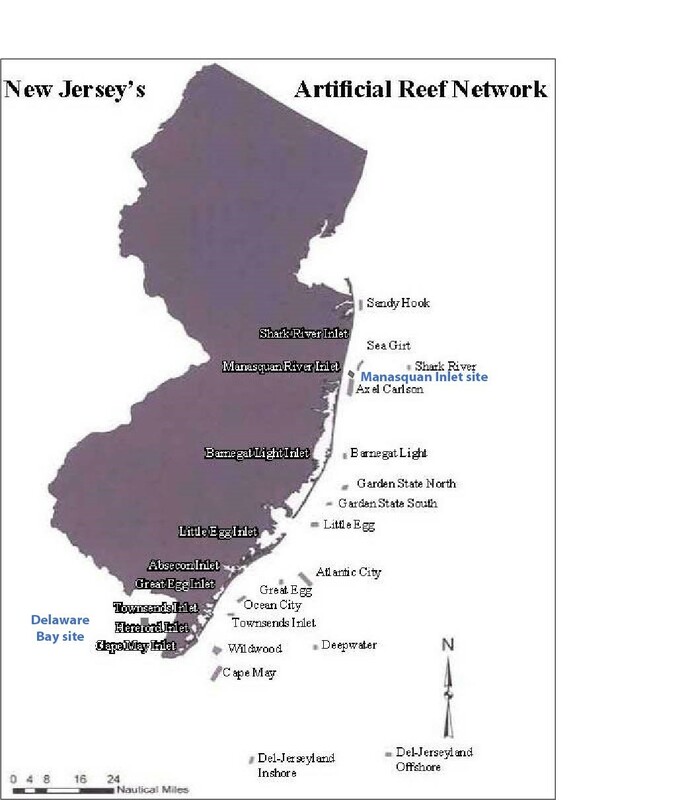 A reef to be built off Ocean County’s Manasquan Inlet is part of a compromise the Christie Administration reached between recreational anglers and commercial fishermen over reef access that resulted in restored federal funding for the program. A second, previously planned reef to be developed in Delaware Bay will expand fishing opportunities in that region. Recreational fishing generates $1.5 billion in economic benefits in New Jersey each year, and directly employs some 20,000 people. 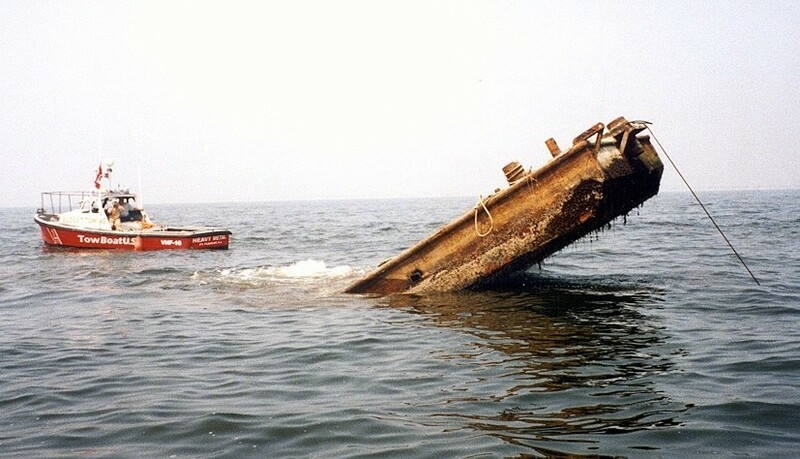 Artificial reefs are constructed from a variety of materials, such as rocks, concrete, steel, old ships and barges. These materials provide surfaces for a wide diversity of marine organisms to grow, ultimately providing food and habitat for many species of fish and shellfish. The DEP’s Division of Fish and Wildlife resumed deployments of old vessels and other materials last year following a decision by the U.S. Fish and Wildlife Service to restore funding for the program. This decision was the result of a compromise the DEP reached that allows commercial interests to have continued access to portions of two reefs in state waters and calls for the construction of a new reef for recreational fishing in state waters. State waters extend three miles from the shoreline. The U.S. Fish and Wildlife Service had suspended the funding due to concerns that commercial fishing was intruding on and hampering recreational fishing on artificial reefs, which are funded by excise taxes on recreational fishing gear and boat fuel. The Army Corps permit allows the DEP’s Division of Fish and Wildlife to develop the two new reefs over the next 10 years as materials suitable for deployment become available. The Manasquan Inlet Reef site is located 1.7 nautical miles southeast of the inlet, which is just north of Ocean County’s Point Pleasant Beach. When fully developed, it will occupy nearly one square mile of sea floor in water from 67 feet to 74 feet deep. The Delaware Bay Reef site is located 9.2 nautical miles southwest of the mouth of Cumberland County’s Maurice River and will occupy a little more than a square mile of bay floor, at depths ranging from 23 feet to 35 feet. The Army Corps permit also reauthorized continued operation and development of 15 artificial reef sites – 13 in federal waters and two in state waters.